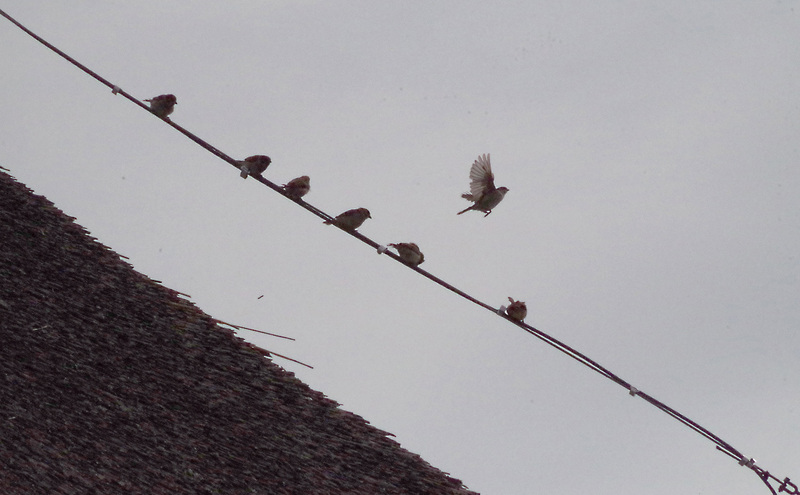 As far as I can remember, these are house sparrows. Hornborgasjön on August 2, 2018. Pentax K50, ISO 3200, 300mm, f/25, 1/6000.